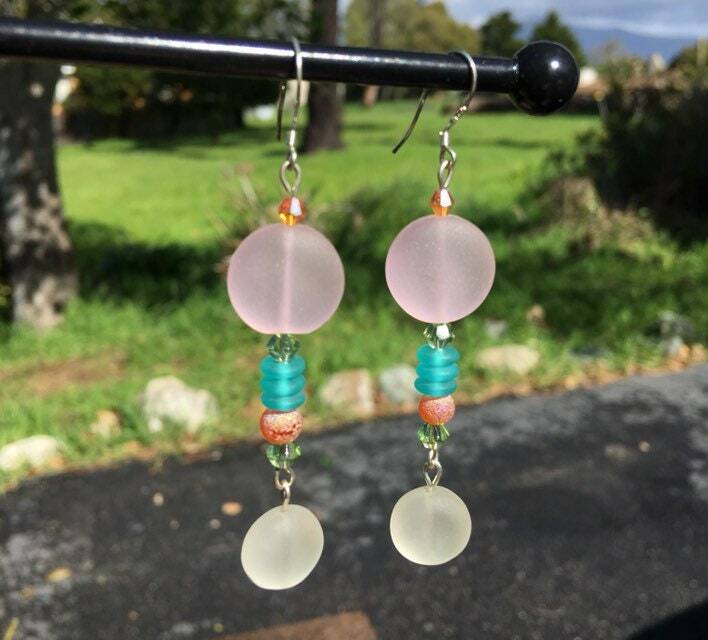 Beautiful and unique, sea glass earrings in: pink and white with Swarovski accents. These are about 2 1/2/" long. 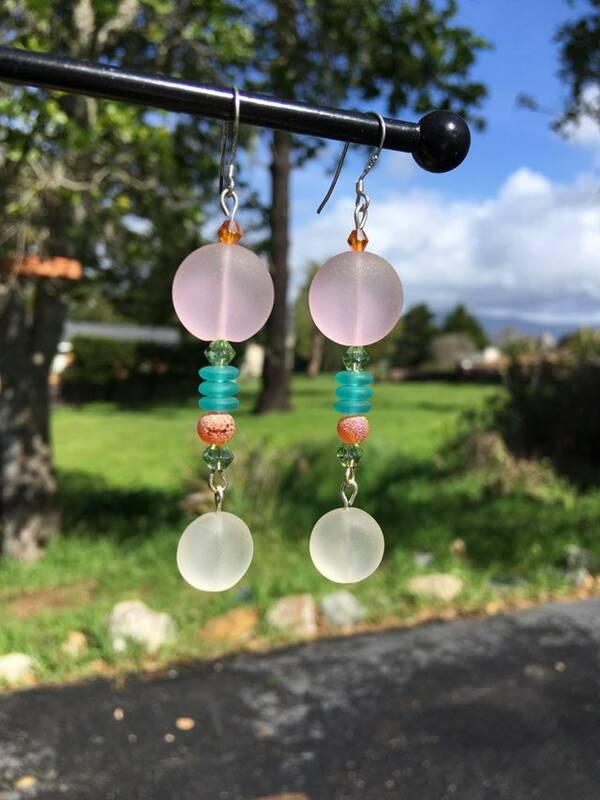 The earring hooks are .925 sterling silver. They will be wrapped in tissue paper, put in a box and mailed First Class in a bubble mailer.